SEOUL, Mar. 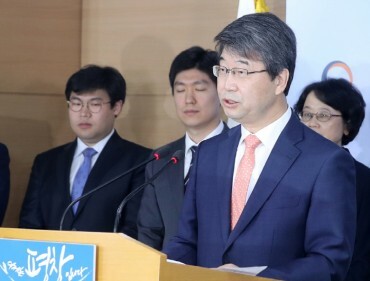 19 (Korea Bizwire) — South Korea’s government said Tuesday it plans to release 10 million salmon fry into local rivers, as it seeks to build up a sustainable fishing industry. 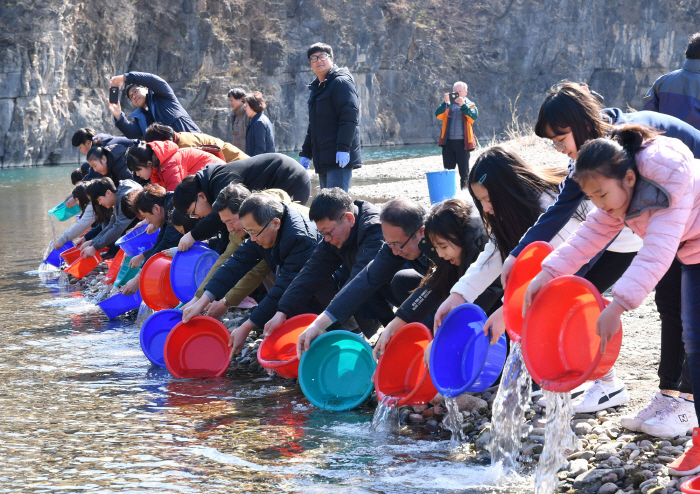 The Ministry of Oceans and Fisheries said it set free 4.2 million salmon fry at the Namdae River, located in Gangwon Province, along with other areas throughout this month. The fry are expected to travel to the northern part of the Pacific Ocean, and return to the river around three to five years later. 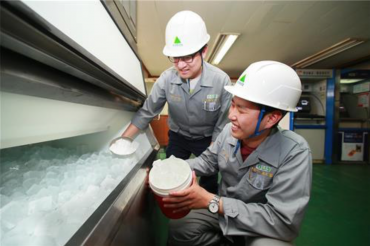 The ministry said salmon are not only a delicacy, but they can also be utilized in the pharmaceutical industry. South Korea imported around US$300 million worth of salmon last year, making it a major import item, along with shrimp. The government has been releasing salmon fry every year since 1968 to foster the country’s salmon industry. Around 100,000 salmon were caught annually on average from 2015 to 2017, which is a significant rise from just hundreds tallied in the early stages of the project. The ministry said it will establish ecological spawning grounds around the river to provide a better environment for salmon.